Micheline Sheehy Skeffington plans to retrace her grandmother's speaking tour of the United States this fall in recognition of it's centenary. Irish activist re-creating grandmother’s 1917 tour of United States in documentary film, Hanna and Me. 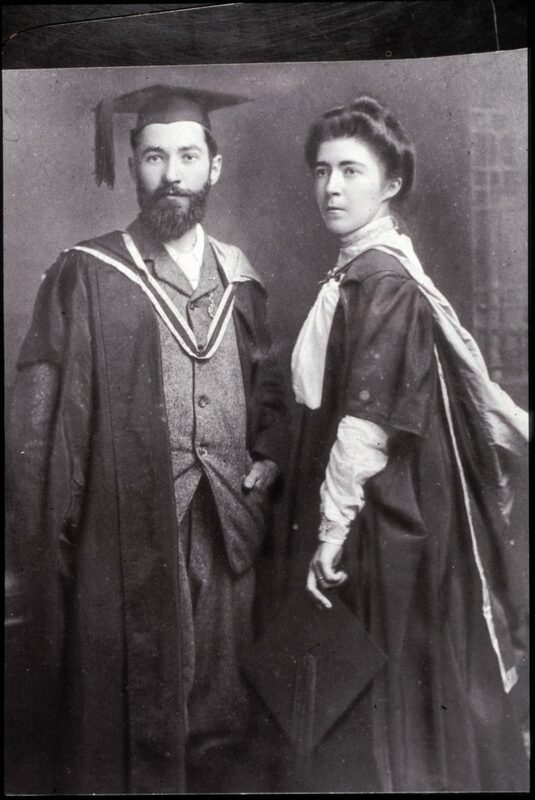 During Easter Week 1916, Irish pacifist Francis Sheehy Skeffington was shot without trial by British firing squad. A year later, his widow, Hanna, escaped to the United States under a false passport, giving speeches across the country exposing the truth about her husband’s death and Ireland’s fight for independence. This fall – 100 years later – their granddaughter is bringing the historic tour back to life, shining new light on past and current struggles for justice in Ireland in a documentary film. Beginning in September, Irish feminist and activist Dr. Micheline Sheehy Skeffington, granddaughter of Francis and Hanna, will tour the United States as part of a documentary film to re-create her grandmother’s 1917 journey during which she spoke to sell-out crowds from New York to San Francisco about the killing of her husband and Ireland’s battle for independence. Micheline will speak in some of the same cities that her grandmother spoke in and the new footage will become part of “Hanna and Me: Passing on the Flame,” which will be a thought-provoking film about fighting for human rights from 1917 to 2017 through the lives of one family in Ireland and the support of Irish-Americans. An online fund-raising drive has been started at https://www.indiegogo.com/projects/hanna-and-me-passing-on-the-flame. Frank and Hanna on wedding day. Micheline is well known in Ireland for her own stand against authority, having won a landmark gender discrimination case in 2014 against her former employer, for lack of promotion. She subsequently donated her €70,000 award to five other women who are currently embattled in similar gender discrimination cases against the university. Just as her grandmother did, Micheline will travel by ship to New York, sailing from Britain on August 31st. She will locate Hanna and her 7-year-old son Owen’s (Micheline’s father) false names registered at Ellis Island and visit the archive section of Carnegie Hall, where Hanna gave her first speech to a full hall on January 6th, 1917. She will then visit and speak in other larger cities that Hanna spoke in, including Boston, Chicago, St. Louis, Seattle, and San Francisco as well as smaller cities, such as Butte, Montana, where residents still have a collective memory of Hanna’s visit. 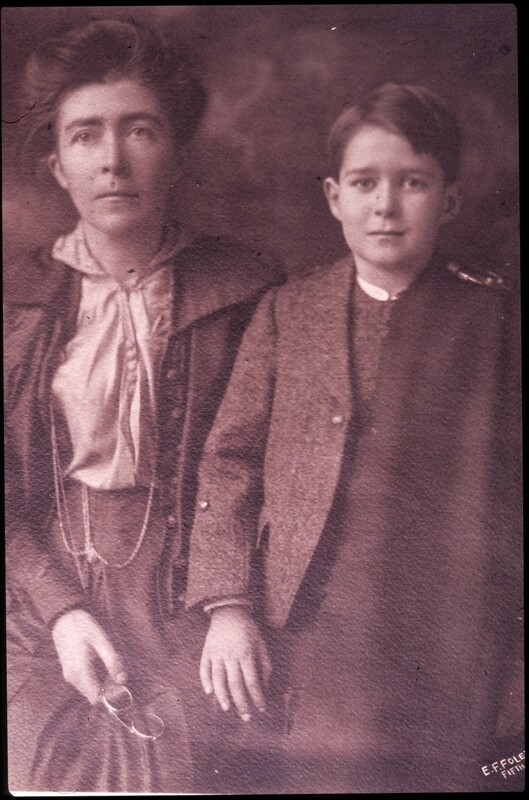 Micheline, who spoke at two official events in Ireland last year commemorating the centenary of her grandfather’s death, will speak to Irish-American and feminist groups about her grandparents, using illustrations from family archives and tracing the development of their thinking through their family experiences and education. She will connect her grandparents’ struggles for justice to her own fight for equality, which is ongoing. NUIG has the lowest promotion rate of women to senior positions of all the universities in Ireland – and Irish universities have the second-worst promotion rate of women in all of Europe. Only Malta has a poorer record of promoting women and it has only one university. During Hanna’s 18-month tour, she gave around 250 speeches in 21 states and filled venues such as 8,000-capacity Dreamland Auditorium in San Francisco in addition to Carnegie Hall. She was the only Irish representative to meet President Woodrow Wilson to argue Ireland’s case for Independence. The British did all they could to silence her during her trip and even tried to abduct her to Canada. On her return to Ireland, Hanna was arrested and imprisoned by the British government. Micheline Sheehy Skeffington is available to speak to Irish-American and human rights organizations as well as groups with an interest in history and women’s rights. For more information, contact Rose Foley, press assistant, at rosefoley29@gmail.com.